The 18th hole of the Grand Bear Casino Course, Saucier, Miss. All three casino courses Nicklaus Design has created were ranked in Golfweek’s top-50 Best Casino Courses 2015 list. The annual ranking includes No. 30 The Greenbrier (Greenbrier) in White Sulphur Springs, W.Va.; No. 32 Grand Bear in Saucier, Miss. ; and No. 39 Rocky Gap Casino Resort in Cumberland, Md. The Casino Club at The Greenbrier combines high-roller thrills and high-class style to create an unforgettable gaming experience. The 103,000-square-foot venue is filled with world-class gaming. Guests enjoy live entertainment, international cuisine and boutique shopping in an elegant setting. The Greenbrier Course at The Greenbrier is a heavily wooded par-72 layout that demands forced entry onto the greens. Nicklaus redesigned the layout in 1978. The Golden Bear is currently working with the team of Arnold Palmer, Gary Player, and Lee Trevino for the first time to design a new course at The Greenbrier Sporting Club. Harrah’s Gulf Coast Casino Hotel in Saucier, Miss., features a 24-hour casino with 35 table games, 775 of the latest reel and video slots, and a gaming room, offering serious casino gambling enthusiasts high-intensity action on the Mississippi Gulf Coast. Grand Bear, the resort’s Jack Nicklaus Signature Golf Course, is beautiful and challenging, navigating through natural cypress wetlands and towering pines, with packed pine needle rough, championship greens and deep bunkers set over 650 acres of rolling land. The casino floor at Rocky Gap Casino Resort is alive with over 600 slot machines, plus table games and lottery games. 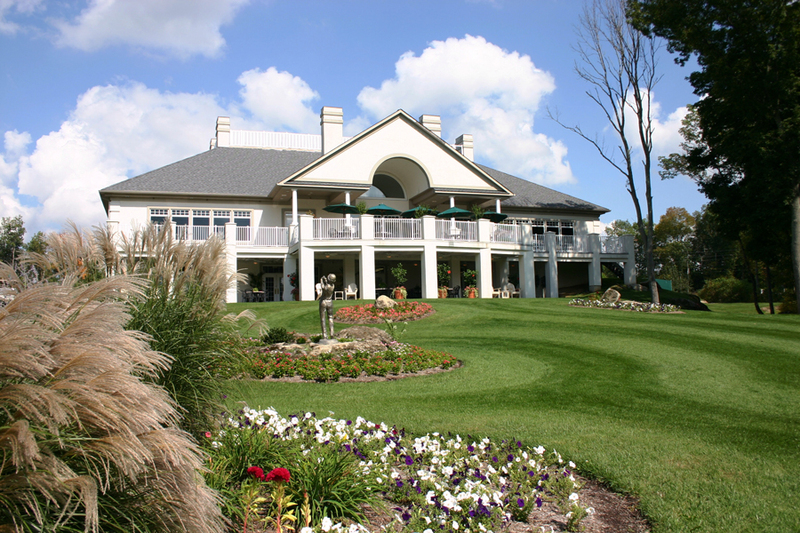 Rocky Gap Casino Resort is the only Jack Nicklaus Signature Golf Course in Maryland. The 7,000-yard mountain course features a front nine carved from mountainous, tree-lined terrain and numerous dramatic elevation changes. The back nine is spread across expansive, gently rolling meadows. Five tee boxes per hole allow all players to adjust the level of challenge to their handicap.